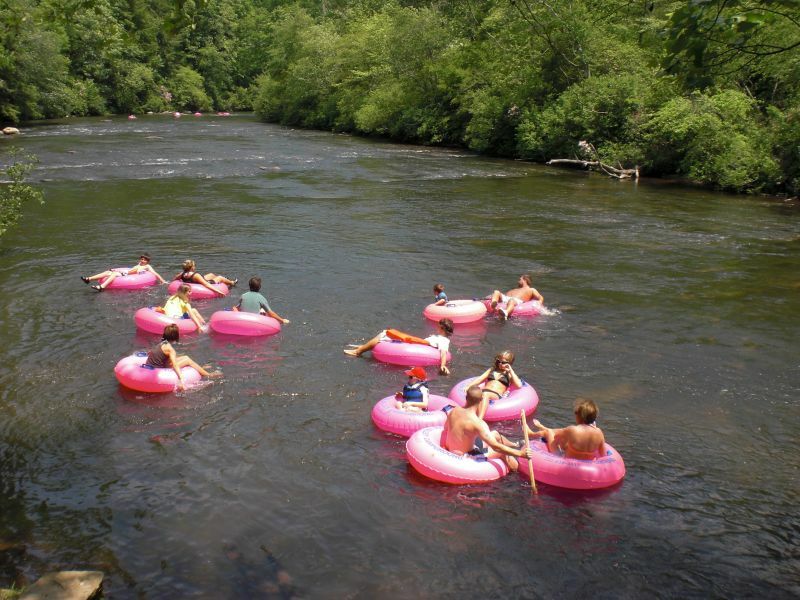 Toccoa Valley Campground offers six miles of tubing on the beautiful Toccoa River. (Approx 2.5 hours) The Tubes are commercially equipped with a bottom and handles for your comfort and we also offer rafts for the families and couples.2-man, 4-man, and 6-man rafts available.At the end of your trip we will be waiting to shuttle you back to the campsite and your vehicle. COOLERS AND DRINKS ARE NOT ALLOWED. Closed on Sunday.